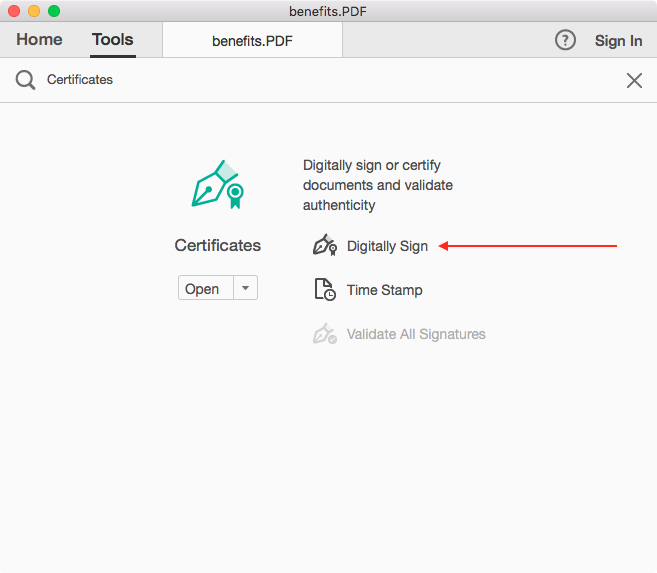 Before you start signing or encrypting documents, you should make sure that you have downloaded and installed your certificate. 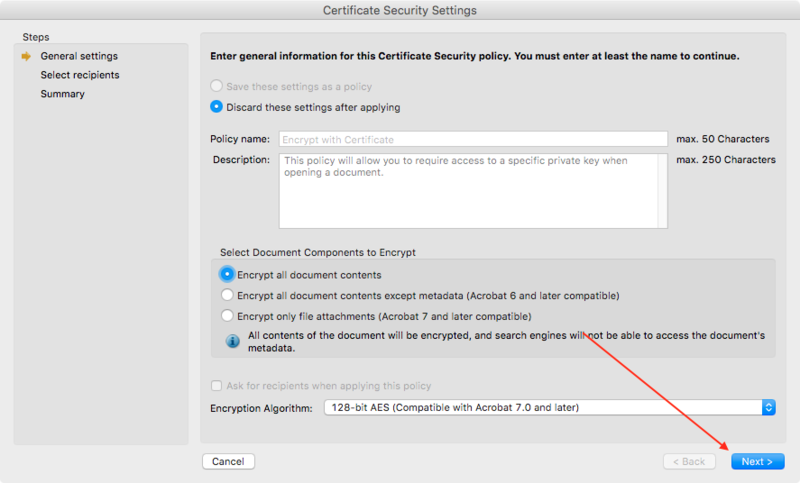 Before you can properly sign documents using Adobe Acrobat XI Pro, you will need to configure Adobe Acrobat to trust the Comodo certificates. 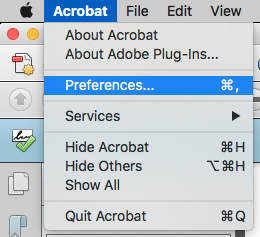 Open Adobe Acrobat XI Pro and go to Acrobat > Preferences. 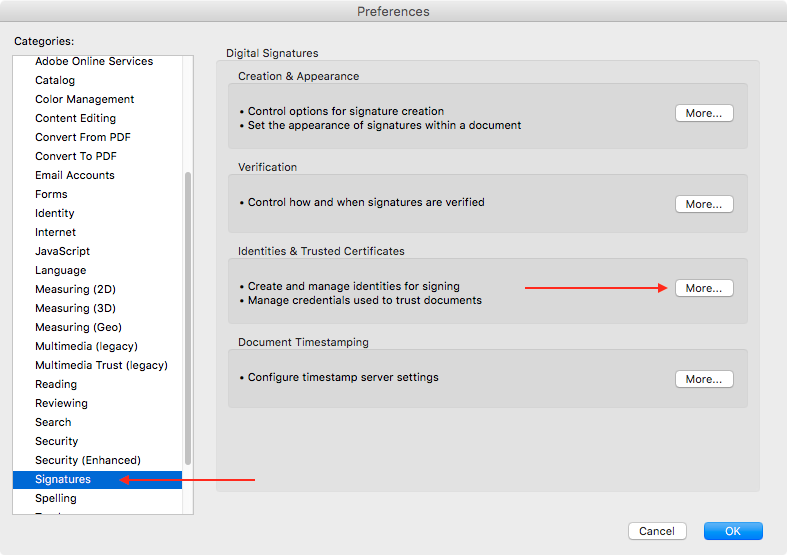 Navigate to Signatures in the left-hand sidebar, then click More... under Identities & Trusted Certificates. 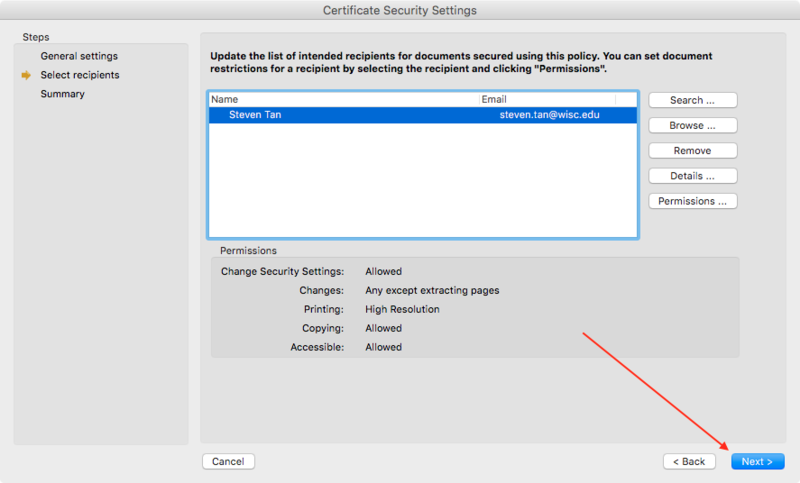 Navigate to Trusted Certificates and click Import. Click Browse and select the AddTrustExternalCARoot.cer file. Click Open. 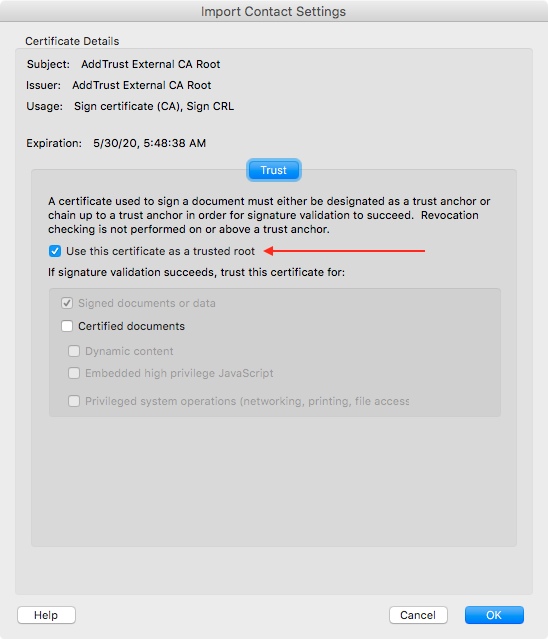 Select AddTrust External CA Root under Contacts, then the certificate under Certificates. Click Trust. 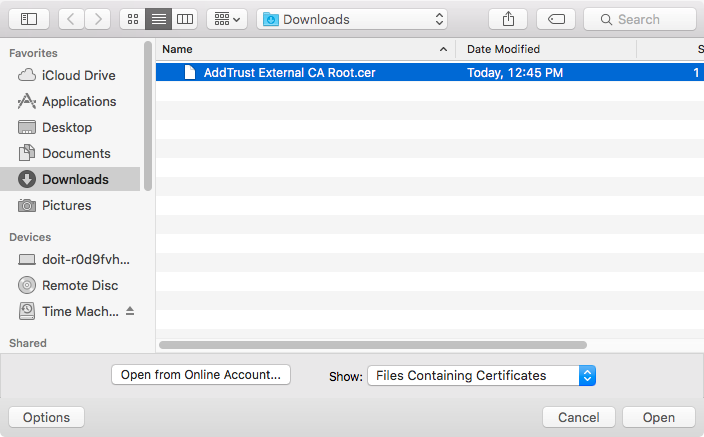 Check Use this certificate as a trusted root and click OK.
Once you see the following screen, you've installed the AddTrust certificate and Adobe can now successfully validate your UW Digital ID. Open the document you wish to sign. 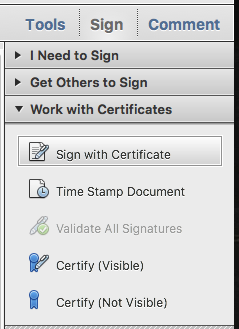 Click Sign in the upper right, then click Work with Certificates > Sign with Certificate. If you see this window, click Drag New Signature Rectangle. 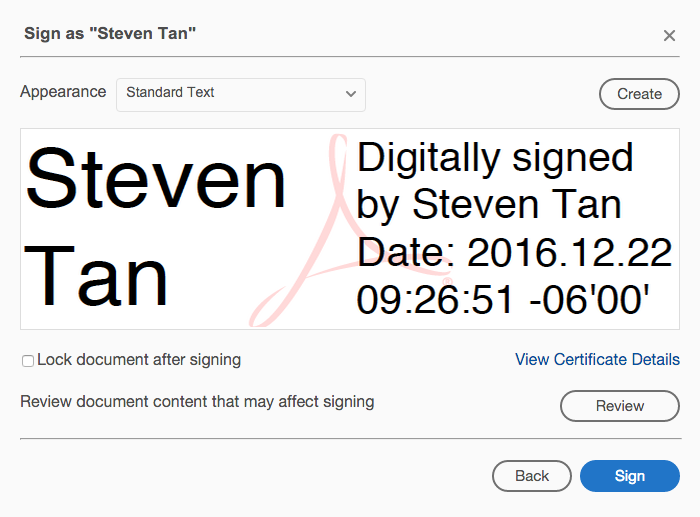 Drag an area on the document to apply your signature to. 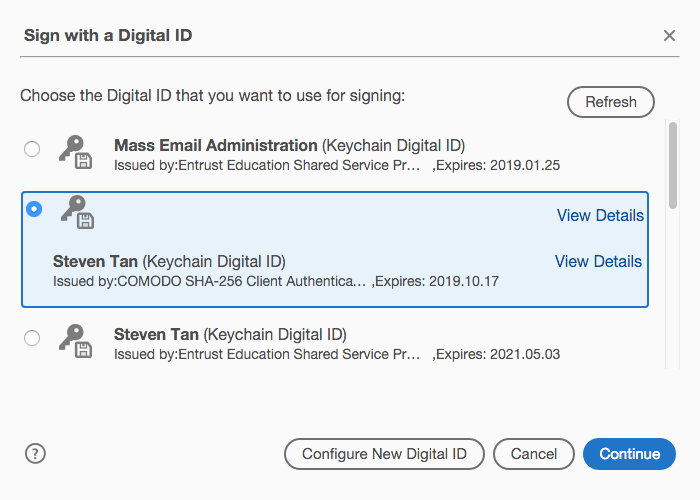 Select your UW Digital ID. Be sure to select the Digital ID issued by Comodo. Click Sign. Specify the location to save your signed PDF and click Save. Open the document you wish to encrypt. Click Tools in the upper right, then click Protection > Encrypt > Encrypt with Certificate. If you see this window, click Yes. 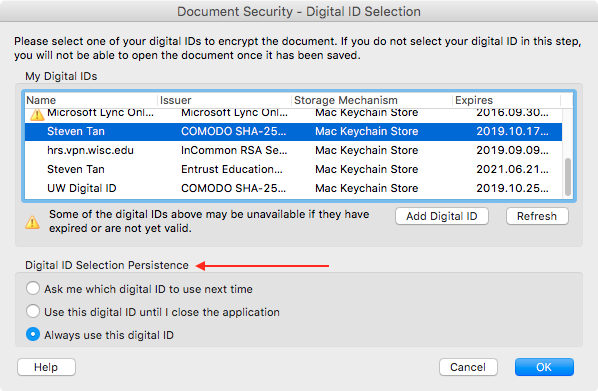 Select your UW Digital ID, making sure to select the Comodo certificate. You can specify if you want to always use your selected Digital ID. 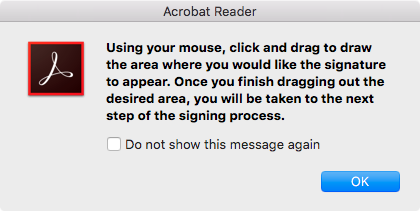 Click OK.
Encryption with a certificate is unavailable with Acrobat Reader DC. 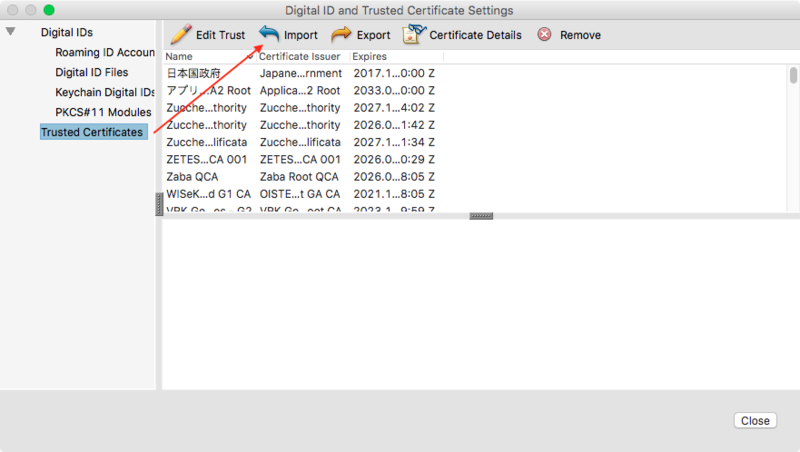 You will need to add the AddTrust External Root Certificate before you can validate digital signatures from UW Digital ID in PDF documents. If you see this window, click OK. 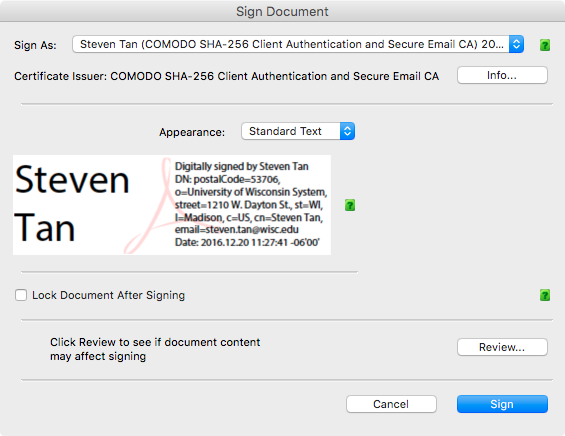 Drag an area on your document to apply your signature to. Select your Digital ID to sign with. 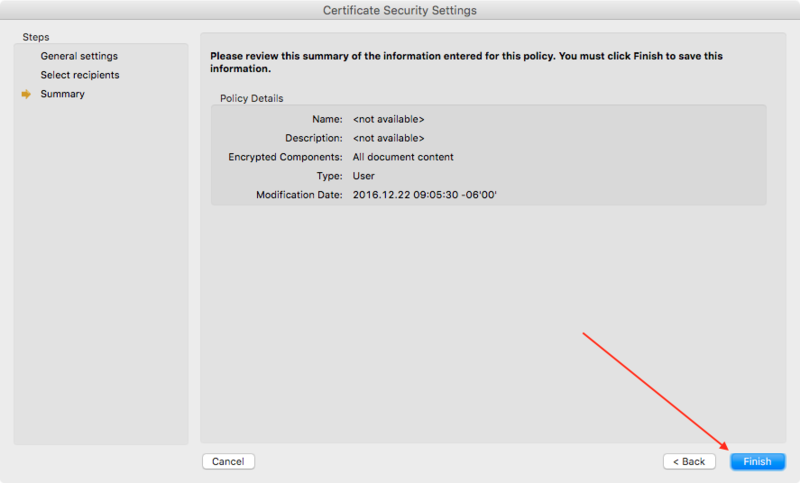 Be sure to select the certificate issued by Comodo.